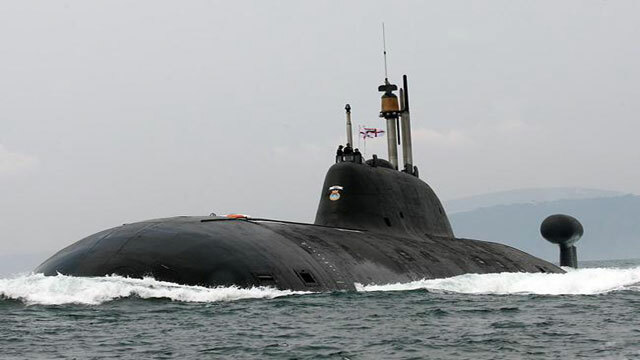 New Delhi, Dec 2 (Just News) : India has started an ambitious project to build six nuclear-powered attack submarines that is expected to boost the Navy's overall strike capabilities in the face of China's naval build-up and increasing military maneuvering in the Indo-Pacific region. Confirming the launch of the mega project, Navy Chief Admiral Sunil Lanba also gave a clear indication that Indian Navy was ready to play a bigger role including under the proposed quadrilateral coalition among India, the US, Australia and Japan, reports NDTV. In a press conference on the eve of Navy Day, Admiral Lanba also touched on a range of key issues confronting the Navy including acquisition of a range of submarines, warships and weapons systems, asserting that it was ready to face any traditional and non-traditional threats. ‘It has kicked off and I will leave it at that. It is a classified project. The process has started. I will not comment further,’ Admiral Lanba said, replying to a question on the project. On the evolving security scenario in the maritime sphere around India, he said it was odd for China to deploy submarines for anti-piracy operations in the Indian Ocean region and that a threat assessment is being carried out by the Indian Navy on it. ‘We are all aware of the prevailing security scenario in our maritime domain. The continued presence of both traditional and non-traditional threats in the maritime domain demand constant attention and robust mitigating measures,’ he said. He also spoke about possible security challenges in case of presence of Chinese warships in the strategically-important Gwadar port in Pakistan which is being developed by China. ‘It will be a security challenge. We will have to look at it and mitigate,’ he said. The Navy Chief said eight ships of Chinese PLA Navy were deployed in the Indian Ocean region at any point of time and that there was a unique situation in August when the numbers had gone up to 14. Additional deployment of Chinese warships and submarines were reported during the over two month-long standoff between Indian and Chinese armies in Doklam. On expanding the Indian Navy's presence in critical sea lanes, Admiral Lanba said it was gradually increasing its deployment in Andaman seas, Malacca Strait, Gulf of Oman, Persian Gulf, North Arabian and Sunda and Lumbok. ‘In short, our ships and aircraft are deployed from the Gulf of Aden to the Western Pacific on an almost 24x7 basis,’ he said. Referring to the bilateral naval agreement between India and Singapore providing for deeper cooperation including logistics support, he said similar agreements are being negotiated with a number of countries. ‘We are negotiating similar pacts with a number of other countries,’ he said adding the Navy has activated the Logistics Exchange Memorandum of Agreement (LEMOA) with the US by taking fuel at sea from the US three months ago. Talking about modernisation of the Navy, he said 34 ships are under construction and projects worth Rs. 40,000 crore have been identified for participation of the private shipyards. He said 23 Indian private sector shipyards have qualified for participation in indigenous shipbuilding projects on the basis of their capacity, capability and infrastructure. The Navy chief said work on Indigenous Aircraft Carrier, IAC 1, is progressing well, adding he was hopeful that the ship would join the Navy by 2020. He said steps have been taken to bolster the aviation arm of the Navy by induction of new fighters, surveillance aircraft and ship-borne helicopters. ‘The Indian Navy is at the threshold of joining a select league of navies capable of providing Submarine Search and Rescue in the Indian Ocean Region with two Deep Submergence Rescue Vessel Systems scheduled for induction next year,’ he said.